GWL is excited to announce a grant of $100K from the Cummings Foundation to expand educational programs to Pre-K - first grade learners! GWL Urban Adventures Program celebrates summer learning with downtown parade. Click here to see more photos from the parade. Come Enjoy Healthy, Family Activities in Lawrence! 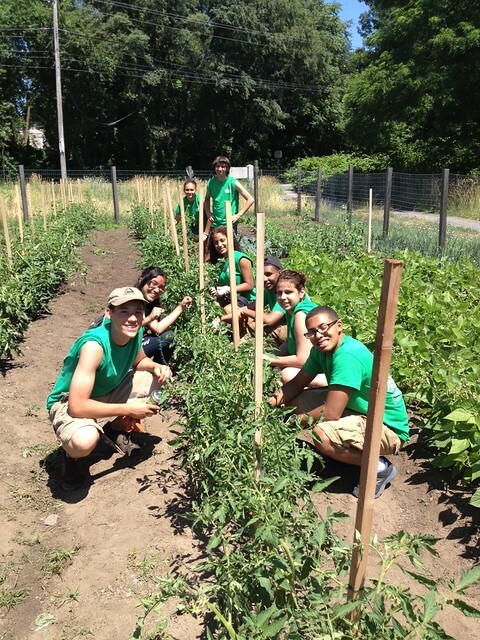 Groundwork Lawrence is pleased to announce a number of healthy, family focused events in the upcoming weeks. Please consider joining Mayor Rivera and the Mayor's Health Task Force at the first Lawrence Ciclovia which will take place Sunday, August 3, from 1:00 PM - 5:00 PM in downtown Lawrence. Bring your bikes, skateboards, roller blades, or running/walking shoes to enjoy the car-free area. 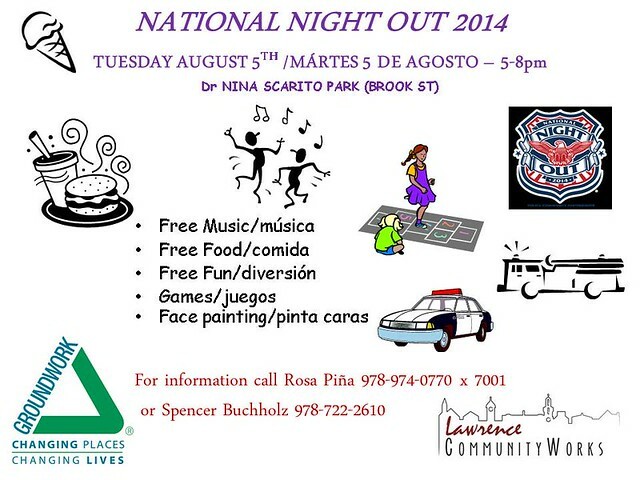 On August 4 and 5, come on out again to enjoy National Night Out (NNO) in Lawrence. In conjunction with our partners, Groundwork Lawrence is co-hosting events on the 5th at Manchester Street Park and Dr. Nina Scarito Park. Click here to view Lawrence/Methuen Community Coalition Press Release about the events for all locations. 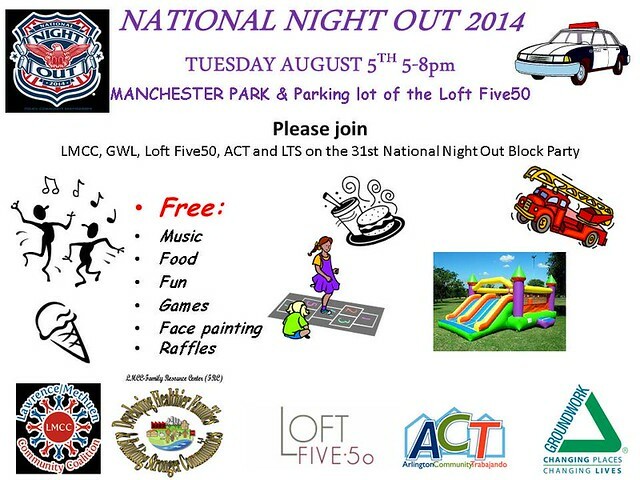 See below for more details on the GWL co-hosted NNO events. and current Clark University student has been spending some time with Green Team as part of her Forest Foundation internship this summer. Recounting her time on Green Team, just several years ago, she notes how by organizing the youth's time among three tracks they are now able to accomplish more and get a more varied experience. The group of 30 youth are divided into cohorts of 10. The young people split their time among three tracks: 'So Fresh', which focuses on growing fresh produce and selling at our Farmers Markets or donating it to Bread & Roses, 'So Green', which concentrates on environmental stewardship and, 'So Connected', the newest track which assists GWL with outreach and community education.